The River Ganga is considered to be the most sacred water body in the entire existence. Indian Mythology, history, and culture everything is widely related to this sacred river. We the Indians consider Ganga as a very powerful and kind Goddess who forms a vital part of our livelihood. The water of this river is believed to be so holy that it can eradicate all the sins of a living being. There are only a few cities which are blessed with the boon of seeing The Ganga flow across their land. The holiness of the river has welcomed the establishment of many historical and mystical temples. Let’s see which the major once are. This is the most beautiful scenery existing where you can see the merging of Bhagirathi and Alakananda to form the sacred Ganges. Both the rivers joining at one place having different colors looks magical. This is in Tehri-Garhwal district in the state of Uttarakhand. This temple is located in Jammu and was built by Maharaja Ranjit Singh during the period 1822-1860. This is said to be one of the largest temples of North India and consists of a complex of seven Hindu Shrines which are known as Shikhara. The deity which is worshiped here is said to be the same one which Rama had worshiped during the Ashwamegh Yagnya. 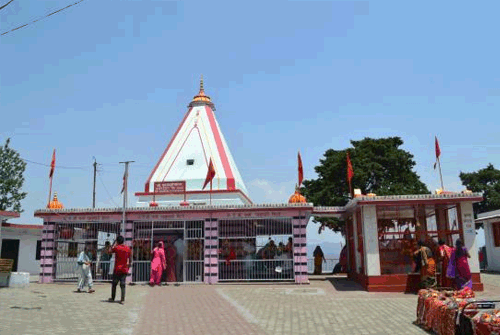 This is a very famous temple in Garhwal region and a famous place to visit in Pauri. This place is such located that it is visible from quite far away places as well. 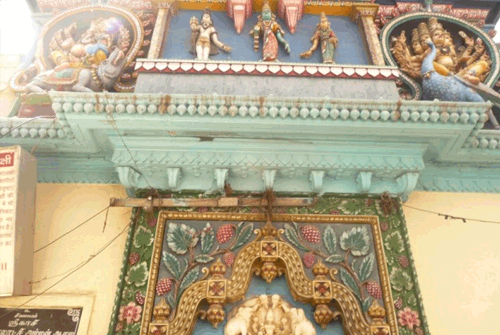 Here Lord Krishna is worshiped. It is believed that he had come here in the form of a snake and still resides here. A place where you can breathe, sleep and eat spirituality. For people facing a stressful life, this is a must location to be visited. This sacred city is situated at the foothills of the Himalayas in Uttarakhand. You will find a lot many old people here who have devoted their rest of the life for the almighty’s worship. The significant population comprises of the sadhu babas. It is a very famous temple across the river Ganga. People claim that this is the place where Lord Shiva had drunk the poison during the most epic SamandarManthan between the Gods and the Demons. This is one of the 51 Shakti Peethas where a body part of Sati fell. Here Goddess Durga is worshiped. 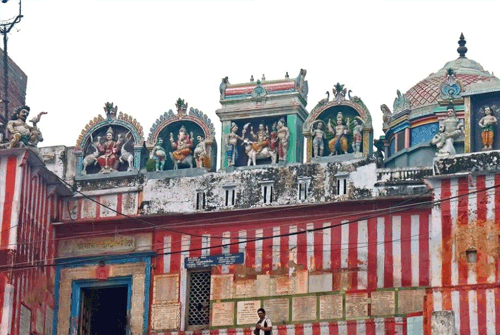 This temple is more dedicated towards preaching Hinduism to the public. 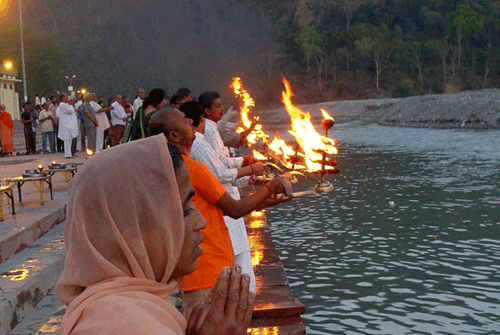 Every day in the sunset, the Arti and Hawan are organized by the Ashram in Ganga on the ParmarthGhat. 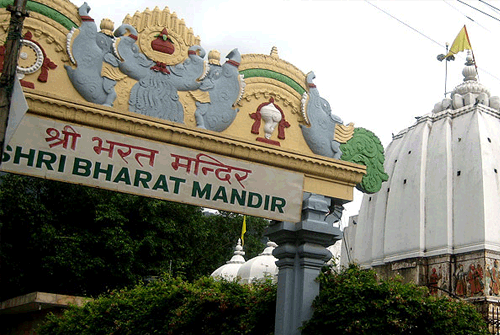 Bharat Mandirwas constructed by the famous saint AdiguruShankracharya in 12th century. Here Lord Rama and his cousin brother Bharat are worshiped. This temple lies in the old town next to TriveniGhat. This is just on the river bank touching the holy river Ganga. This temple represents the stories of the famous Indian epic Mahabharata and Ramayana in its walls. Here people assemble to read the Ramayana jointly. The Arti performed in the evening in its bank is magnificent and beautiful. This temple is again attached to the river Ganga. This place is very famous because of its beauty and construction. Here all the Hindu Gods and Goddesses are present and are worshiped. TriveniGhat is the place which is said to wash away sins of your 7 births. This is about 1.5kms away from Rishikesh and is a very sacred place. People in huge numbers come to take bath in the holy river. 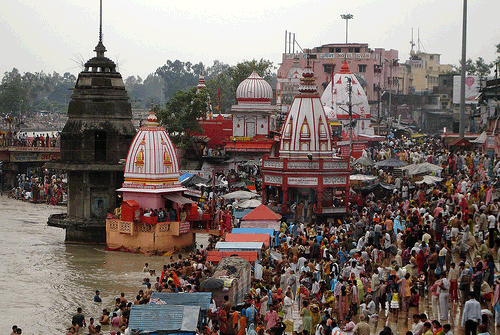 Haridwar is one of the top 4 Hindu pilgrimage destinations. 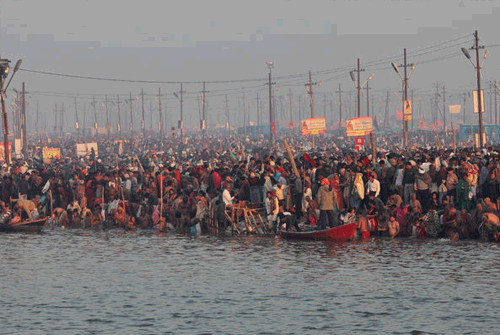 The most famous event here is the KumbhMela where lakhs of devotees come rushing from different parts of the world. Here the evening aarti is unexplainably beautiful and magnificent. 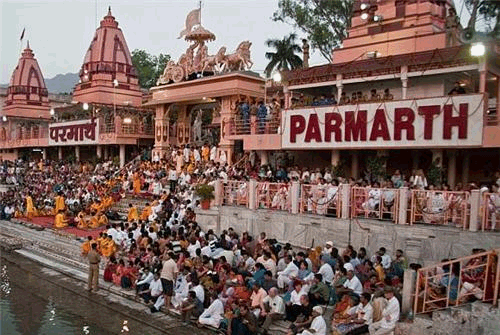 The place where the aarti is held is known as “Hark i Pauri”. 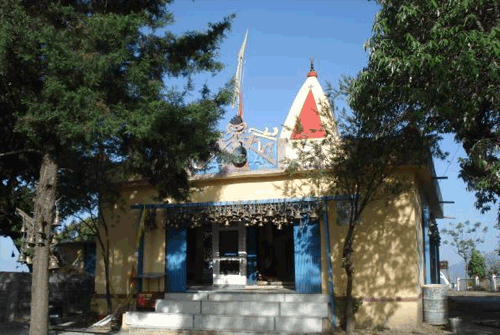 Mansa Devi Temple is dedicated to the worship of goddess Mansa who had emerged from the mind of Sage Kashyapa. 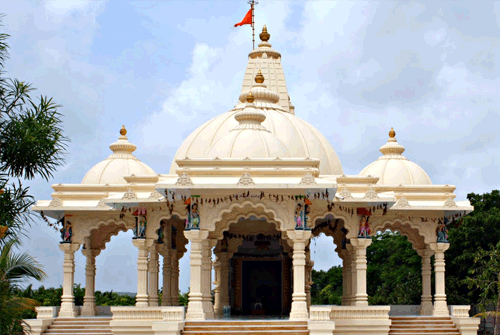 This temple is located in Bilvaparvat which stands beside the river Ganga. 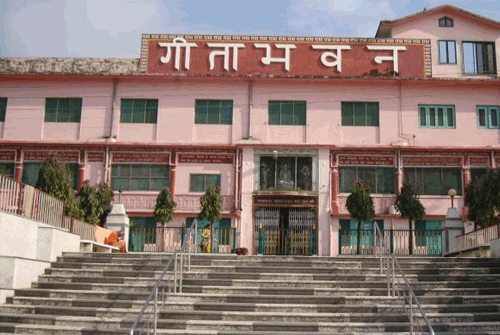 Maya Devi temple is one of the most famous temple in Haridwar. This is also very famous because of the aarti. This is also one of the 51 Shakti peethas. The most famous place for aarti in the entire world. Big diyas are lit and the Goddess Ganga is worshiped every evening by many pandits. The sight of this is marvelous and for sure you will feel a blast of sacredness flowing through your body. HarikiPauri is one of the most sacred bathing ghat in India as well. It is said that Krishna had come here and his footprints are still there on the stone walls. 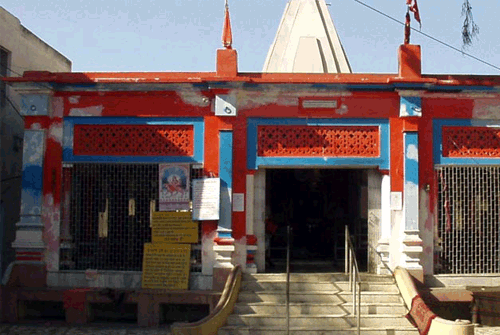 Neelaswar Temple is a Hindu temple dedicated to goddess Mansa in the holy city of Haridwar. The temple is located atop a hill which is near the KushavartaGhat. Sati Kund is the site of the YagnaKund. It is believed that this is the place where Sati had put herself to fire in her father’s Yagnya. Allahabad is also known as Prayag. The town sits at the point where the Yamuna and the Ganges rivers meet the Saraswati River. There are certain major locations and temples in this city. This is the reason why Allahabad is also known as prayag (a place for offerings). This is one of the holiest spots of the country. Here the three rivers Ganga, Yamuna and Saraswai meet at one point. If you go to the spot you can see Ganga and Yamuna meeting at a point, but Saraswati is considered to be a mythical river which flows under the earth and is invisible. 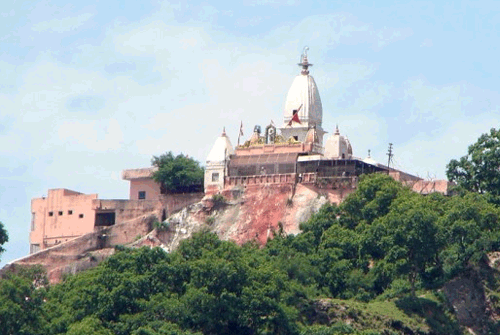 SomeshwarMahadev Temple is situated in Naini in Allahabad across the holy area sangam or Triveni. 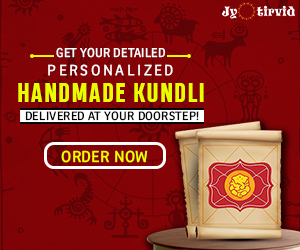 It is dedicated to the worship of Lord Shiva and is one of the EkadaksRudra pilgrimage. Varanasi is one of those cities which holds many sacred temples. The Ganga ghats here are completely lined with numerous pilgrimage sites. Here are quite a lot of major temples situated and amazing history associated. It is considered as one of the top 7 Pilgrimage sites of Hinduism. 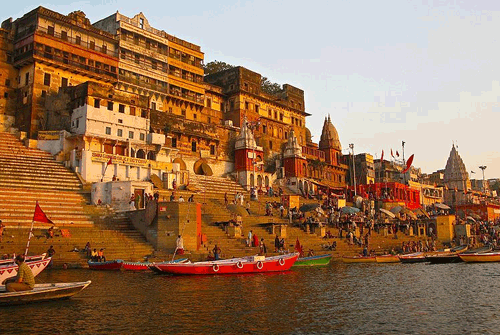 There are many significant temples located along Ganga in Varanasi, but we have mentioned a few. Here Lord Shiva is worshiped in the form of KedarnathShivling. 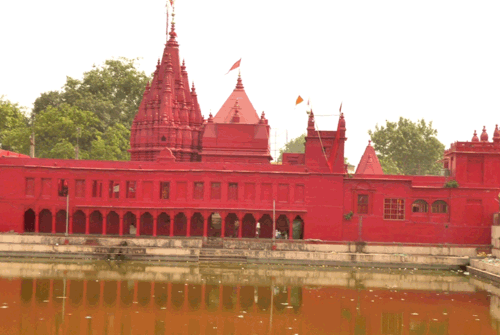 This temple is located on the banks of Ganga on KedarGhat. The deity is a replica of the kedarnath hump ling in Himachal. This is one of the important temples of Varanasi and is dedicated to Goddess Durga. 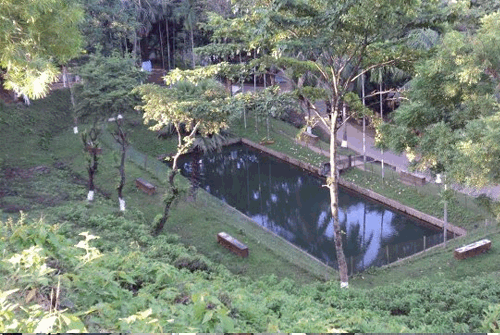 The Durga temple is situated on a rectangular tank, called the DurgaKunda. According to the Puranas, Goddess Durga has kept this place for many centuries and protects the holy city of Varanasi from the South. It is said that the deity worshiped here appeared by its own. 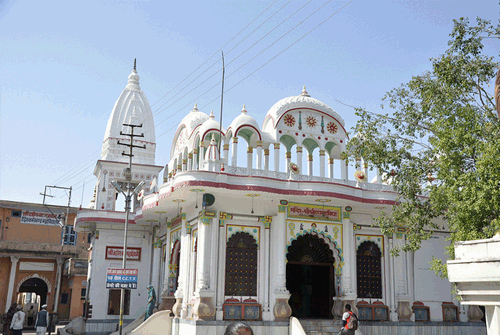 KashiVishvanath Temple is one of the most famous Hindu temples and is dedicated to Lord Shiva. It is located in the western bank of the holy river Ganga and is one of the twelve Jyotirlingas, the holiest of Shiva temples. 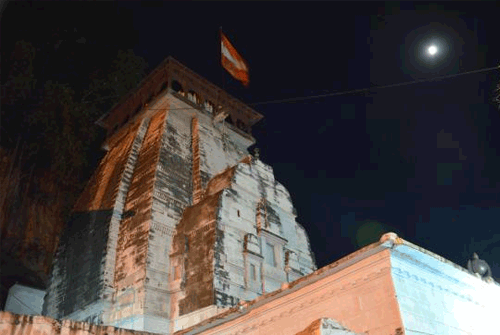 Lord Shiva is worshiped here and is known as Vishwanath. The Vishalakshi Temple is a Hindu temple dedicated to the Goddess Parvati and is known as Vishalakshi. 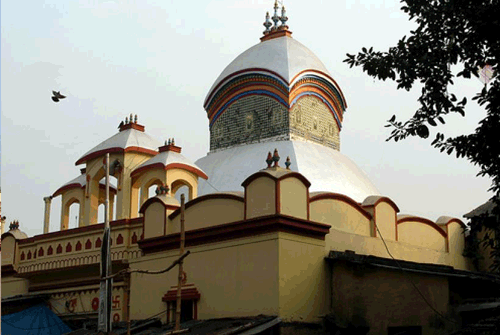 It is located in the Mir Ghat on the banks of the Ganga.This temple is also among the 51 Shakti Peethas. It is said that in this temple the Goddesses eyes and earrings had fallen. Here comes the city of Misthis and fresh fish meat. Not only is it famous because of its delicacies but also because of the history associated. You can say that Kolkata is an all-rounder city having many significance. It also used to be the major place for Britishers and is also a very holy place in terms of presence of temples. It is located on the banks of river Ganga. 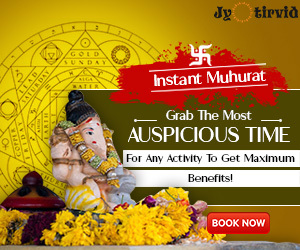 Here Goddess Bhavatarini is worshiped who is a form of Kali Mata. 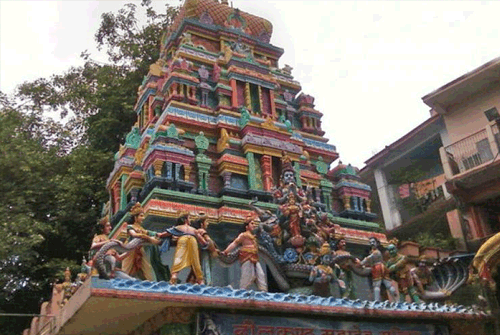 Near to the main temple there are 12 deities of Lord Shiva established. This is a very famous temple and it is said that it has mythical powers associated. The practice of tantric vidhya is also prevalent here in a very vulnerable amount. 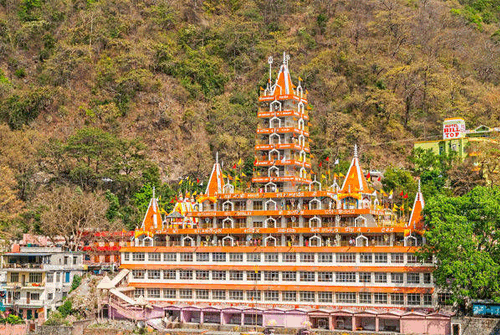 This temple is also located on the banks of the holy river Ganga. Over a period of time, the river has slowly moved away from the temple. 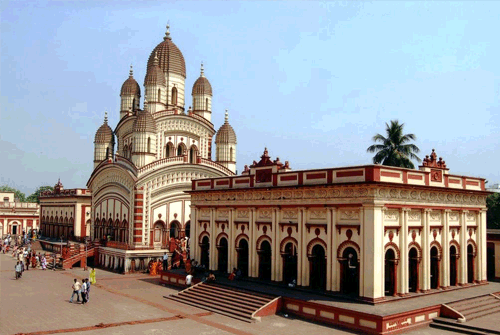 Goddess Kali is worshiped here and it is considered as one of the 51 Shakti Peethas.Kalighat represents the site where the toes of the right foot of Sati fell.